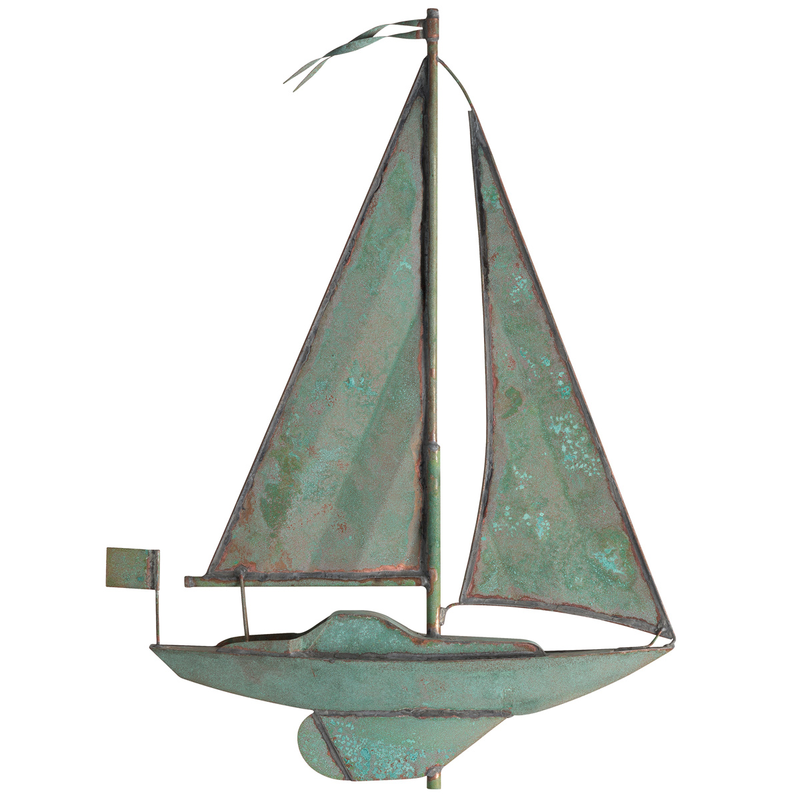 Give your deck a nautical update with the Classic Directions Verdigris Copper Sailboat Weathervane. 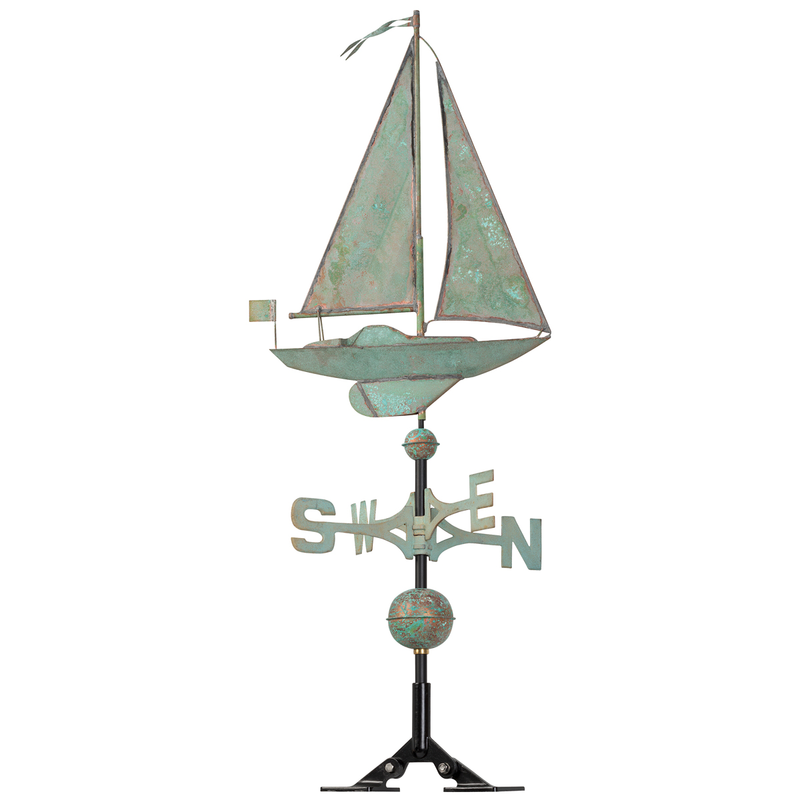 Crafted with a sailboat accent in aged verdigris tones, this weathervane makes a beautiful accent. 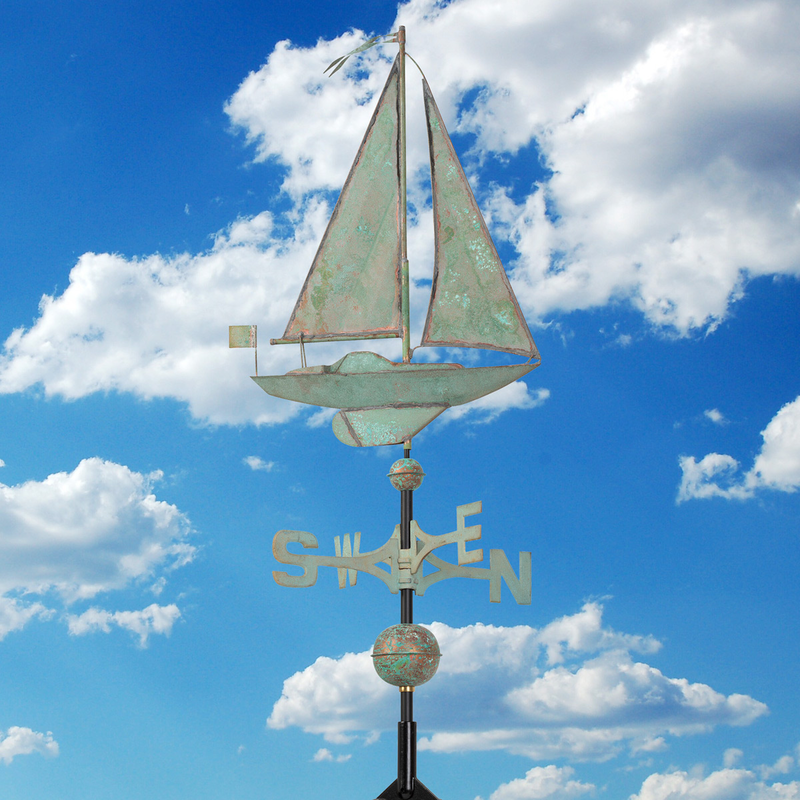 Made of stamped copper, color will patina naturally over time.